I think it's important to have a good selection of free gift tags, that can be printed any time, for last minute homemade gifts and creative projects. ...and (speaking from the perspective of a thrifty DIY-er) I'm so very thankful for the world wide web and all the free printables and free creative tutorials available to us all. I love that there are awesome blogs and websites out there, offering their creative information and digital creations to all! 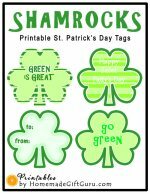 And speaking of free gift tags, the printable tags on this page are ready to print and cut for immediate use. 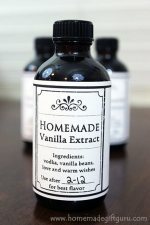 They go well with both store-bought and homemade gifts, homemade cards and creative projects. 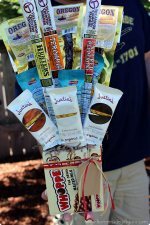 These party tags can add a festive touch to a bouquet of birthday flowers, a pretty plant, a homemade candy bouquet or even a bottle of birthday wine. Whatever creative way you use them, I hope you enjoy! And if you want to design your own gift tags, here's my collection of free printable gift tag templates. 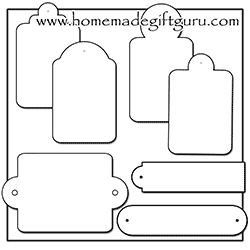 You can use these outlines to make gift tags from your favorite paper. You can even turn them into re-usable stencils! I'd love for you to link to my pages, but please do not copy my images onto your website or social media. The following printable gift tags can be copied into a word processing program so that you can print as many per page as you can fit. They can also be re-sized. Here's a few tips and tricks for getting the most out of these free printable gift tags. 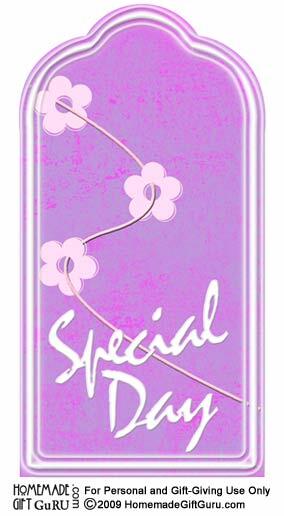 Pink and princess-like, this tag is definitely for the ladies. 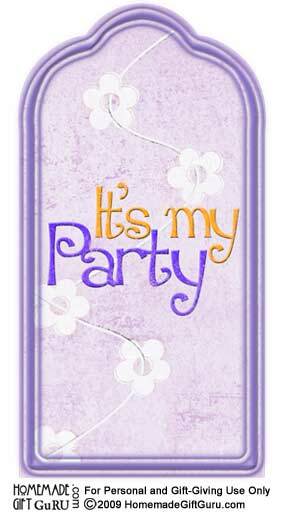 Blue and gold, this pretty little gift tag is great for kids and teens having a party... and can also be used in a birthday party scrap book layout after the party. 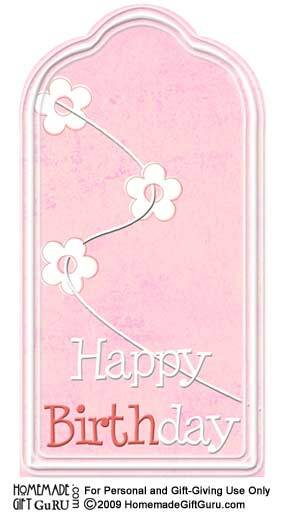 This purplish-pink tag can be used for a number of special days such as Mother's Day, Graduation, Baby Shower, Wedding, Birthday, Retirement and more. That's it for these free gift tags but you can find lots more printable gift tags here! Enjoy.